Yahoo is rumored to be considering selling Right Media, the ad marketplace it acquired for $680 million in 2007. Potential buyers include IBM and Microsoft. 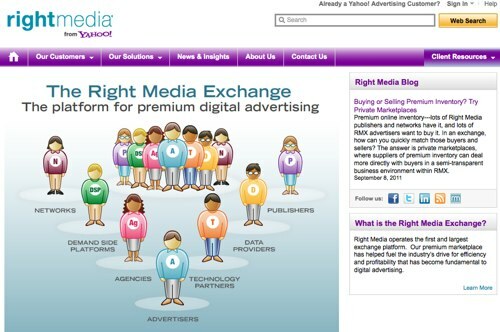 Right Media operates the Right Media Exchange (RMX), a marketplace that enables advertisers, publishers, and ad networks to trade digital media.